Do you ever find yourself wondering, “When will this child stop defying me and start doing what I ask?” It can be incredibly frustrating, not to mention exhausting, dealing with a young child or toddler who finds it necessary to challenge your every request, act in a defiant manner, lose their temper, and be generally disruptive or annoying. Parents oftentimes find themselves drained as they come up against this behavior, and wind up feeling hopeless about how to handle the situation. They might also start worrying about what the future holds for such a strong-willed child. The good news is there is help in dealing with defiance in young kids—and the solutions are easier than you may think. If your child can’t calm himself, setting limits for him to work through his rage can help. The point is to not jump on the crazy train with him. Many parents want to know why their toddler or young child is so difficult. It’s normal to want an answer to why your child is the one who’s always acting out and hard to manage, and there may be concrete reasons for his behavior. It’s important to take into account that young children have very little control in their day-to-day lives. If you think about it, most kids float through their days with most decisions already made for them: when they wake, when and what they eat, what they will wear, when they will do chores or play, and finally, what time they go to bed each evening. For many kids this isn’t a problem; they ride the wave of parental control without incident, some even enjoying having decisions made for them. Other kids, especially those who have strong personalities and definite opinions, find this level of “control” confining and annoying. What better way for a young child to express his displeasure than to habitually refuse to listen or to be argumentative? Young kids and toddlers have a limited vocabulary and become frustrated when they can’t articulate what they want or how they’re feeling. They’re learning how to communicate with parents and teachers, so it makes sense that anger, defiance and irritability may be the only route they know to take when feeling overwhelmed and out of control. Another reason for a child’s defiance can simply stem from the strong personality they were born with. All of us can probably identify at least one strong-willed person (maybe even ourselves?) in our family tree. When looking at your young child, it’s important to understand that for some, this period of defiance is just a phase that they will pass through as they mature. Other kids may meet the criteria for Oppositional Defiant Disorder (ODD), which is a persistent and frequent form of defiant behavior. Examples of ODD include any time a child has a pattern of being angry and irritable, argumentative or defiant along with displays of vindictive behavior. These characteristics can show up in a child who easily loses their temper, is unusually touchy or annoyed, and is often angry and resentful of those around him. In addition, the child with ODD will argue with authority figures, refuses to comply with rules or requests and will annoy others on purpose, all the while blaming others for his behavior. When you read this description, you may be thinking, “My child does all of that!” In fact, you’d be correct in noting that all children at some point or another probably engage in these kinds of behaviors. The key here, though, is whether or not your child has a pattern of displaying such behavior on a regular basis towards those around her, as opposed to occasionally refusing to do chores, teasing her younger brother sometimes, or being angry at you in the moment for getting called out for bad behavior. 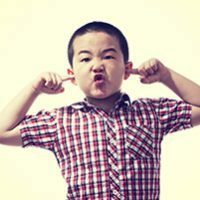 While a child with Oppositional Defiant Disorder does act out on a more regular basis, as opposed to a child with simply a difficult temperament, parents should generally take the same approach to handling the behavior. Below are 5 things not to do when dealing with a defiant or “difficult” child. This can also be a good time to teach your child some calming techniques that can help them regain control. Showing a young child how to stop, count, and breathe involves explaining to your child when she is calm how to stop herself in her tracks by physically sitting down, closing her eyes and slowly breathing in and out, all the while counting to ten, however many times it takes for the crisis to pass. Practicing this regularly with your child can allow her to have a tool ready when the crisis hits. Note however, that for some kids this will not work, in which case you will need to move to the next step. There’s a reason why the saying “Misery love company” makes sense. Many times when children are defiant, they want everyone around them to experience their pain as well. The important thing is to not let them pull you into their momentary misery. For some kids, upping the ante and getting everyone in the family involved in their personal drama is extremely satisfying for them and serves to reinforce future outbursts. By consistently not letting your child off the hook, he knows you mean business, that you care enough to hold him accountable, and that there are boundaries in your home that shouldn’t be crossed. Even though your child may rage and yell in the moment, ultimately this provides him with a sense of security. This may not necessarily stop his defiance at this point in his development, but it will prevent it from growing into a more severe problem as he gets older. Too often when a child has a difficult temperament or a full blown Oppositional Defiant Disorder, parents fast forward to the worst case scenario possible, imagining all sorts of gloomy forecasts for their child’s future. This is easy to do when your child rarely seems happy, is often irritable, and has unrelenting behavior. As hard as it is though, try to be mindful of the here and now and what your child needs from you in this moment. When you find yourself worrying that your child is going to end up unemployed and living under a bridge because he talks back so much and won’t take no for an answer, try to ground yourself and move on to the next step. 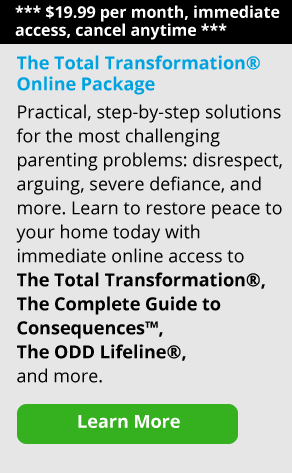 Parenting a defiant child is likely one of the most difficult tasks any parent will face. It’s hard, it’s tiring, and it can be depressing at times, which is why it’s so important to remember to find things about them that are loveable, kind, and sweet, even if it may seem like a stretch on some days. Accepting one’s child doesn’t mean excusing bad behavior, but rather acknowledging that they experience the world differently than many of us. Too often parents become so entangled with the daily struggles of parenting a child who behaves like this that the goodness that exists within them (and it’s in there, even if you have to dig deep) gets lost. Actively search out examples on a daily or weekly basis that confirm not the worst in your child, but the best. These can be instances when your son was kind to his sister for one full day, or your daughter said “thank you” instead of giving you a rude answer. It can come in the form of them putting away their dishes on their own or not arguing with you or blaming others. Point out to your child that you noticed by saying, “I like how nicely you answered me. Thank you.” Or “Thank you for not losing your temper just now.” Remember, it’s the behavior that you may not like, not your child him or herself. A final point to keep in mind is that children with these personality traits may not be the easiest to live with while they are at home, but it is exactly these types of kids who can grow up and change the world. Everyone agrees that a calm, sweet child is easy to raise, but those traits, while admirable, may not be the ones that stop injustice, forge new ways of thinking, or uncover the unfairness and inequity of the world we live in. Often it’s the very qualities in our children that make us crazy—the stubbornness, the defiance, the anger—that are not only useful, but are necessary for a person who wants to make society a better place. That idea of not giving up, so annoying now, can propel our children to greatness as adults. When we look throughout history at who has changed the world, it has rarely been the meek or the quiet, but rather those who charged through difficulties, wouldn’t take no for an answer, and sometimes had to get angry to bring about change. When you combine firm, loving, consistent boundaries together to form a parenting style in which to deal with your defiant young child, you are laying the groundwork towards helping them take responsibility for their temperament while also honoring who they are as a person. This gives you both the opportunity to be the best that you can be, now and in the future.